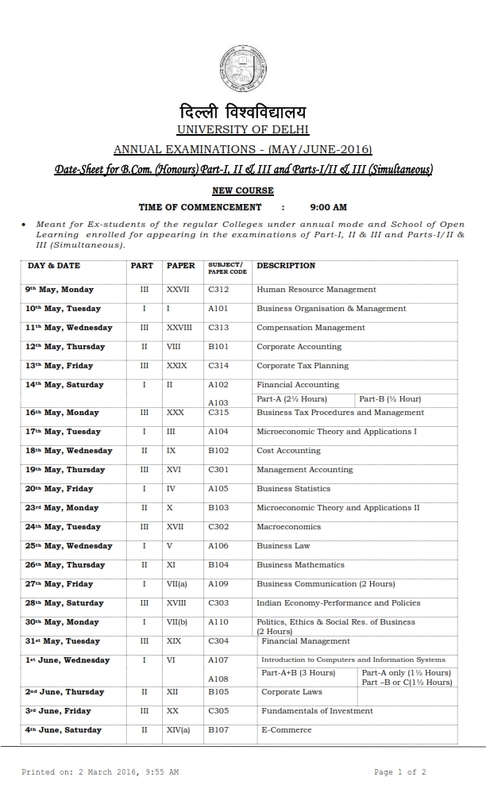 Delhi University Datesheet 2016 : Delhi University (DU) released the final datesheets for May – June 2016 Semester and Annual on 21st March this year. 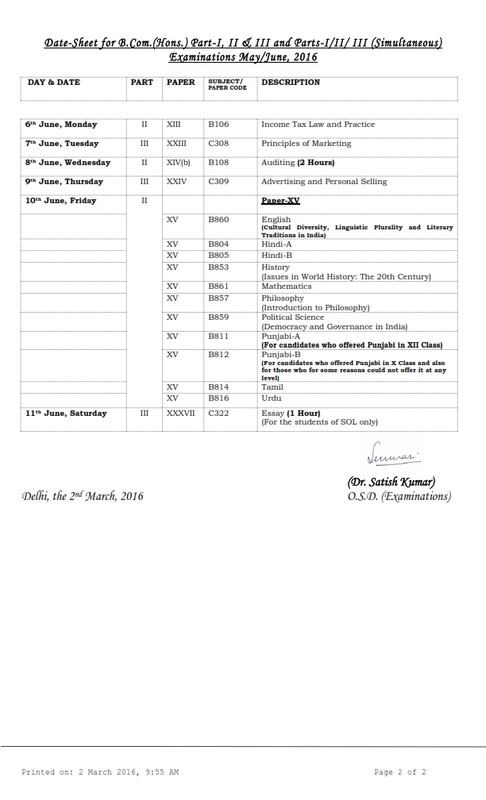 The University released datesheets for Erstwhile FYUP, Three Year Undergraduate Programme and CBCS. 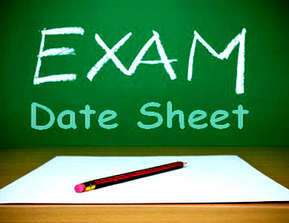 The time of commencement of the examination is 9:00 AM. The students are expected to carry their Delhi University Admit Card and their valid college id cards during Examination. The result of the exam will most likely be announced in the month of July. We’ll keep you updated on the same.